Thanksgiving is a holiday of trying. Despite its conflicted genocidal history and notoriously boring food, it’s also one of the few American traditions in which families come together, cook a feast and attempt to bite their tongues long enough to let the turkey’s tryptophan kick in. Music and marijuana are two things to be thankful for during this monumental undertaking, so November’s Smokesongs are perfect for observing the craziest of holidays. No time to dig into all these hearty LPs? Check out The Cannabist’s SmokeSongs Thanksgiving Tokes playlist featuring strong rips from each featured record. Lowell George is one of those underrated artists whose commercial success never surpassed the praise his work garnered from critics and fellow creatives. For instance, his band Little Feat was loved by Frank Zappa and Jimmy Page, but it still never found mainstream success. In 1979, George decided to bow out of that project to record this, his first and, sadly, last solo effort. With just four original tunes sprinkled on a heap of covers and collaborations, there’s no stuffing here, but George’s soulful delivery and contributions from some 40-plus session players keeps the LP fresh — note Bonnie Raitt’s sultry backing vocals. It was too late for George to jump start his career, however. He died just days after dropping this album at age 34 following years of excessive drug use and overeating. So, pair this spin with a jubilant strain and don’t forget to grab seconds — because, YOLO. Since 2002, Light in the Attic Records has been on a mission to unearth the work of long-lost artists. 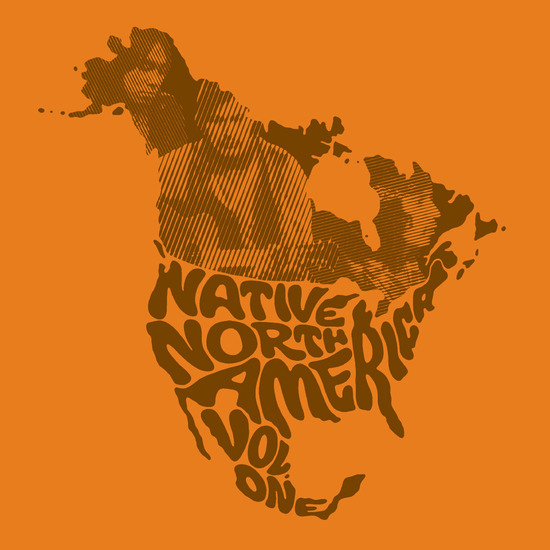 The label’s rousing “Native North America (Vol. 1)” is a cornucopia of stark songs by tragically unrecognized indigenous singer-songwriters that was nominated in 2016 for a Best Historical Album Grammy. Among the 34 tracks originally released between 1966 and 1985, offerings by Willie Dunn and Lloyd Cheechoo easily stand shoulder to shoulder with tracks by Townes Van Zandt, Bruce Springsteen, Gordon Lightfoot and other popular songsmiths from that era. But the statements these Native musicians make on America is rooted in a far more severe and unfair reality than those rock icons ever knew. Light up, listen closely and learn why your auntie’s green bean casserole isn’t the most unappealing aspect of Thanksgiving. Sly & the Family Stone’s brand of funky pop is utterly infectious, and if their messages could have actually stuck in the human psyche, the world might be a better place. Case in point, 1969’s “Thank You (Falettinme Be Mice Elf Agin),” a curious meditation on religion, violence and vices wrapped in an anthem of acceptance. Originally slated to be the lead track on an unfinished LP, it was released as a single, sharing vinyl with a truly uplifting cut, “Everybody is a Star.” (The tunes also wound up on the band’s 1970 “Greatest Hits.”) Even as these tunes were lighting up the airwaves, Sly Stone’s drug addiction and obsessive perfectionism was alienating his band-mate siblings, Freddie and Rose. So, burn a mellow hybrid and play some Sly in the background during your dinner party as a reminder that other families are far more dysfunctional than your own. On his eponymous EP, Gracias isn’t just wearing 1990s East Coast hip hop influences on his sleeve, he has them tattooed on his chest. 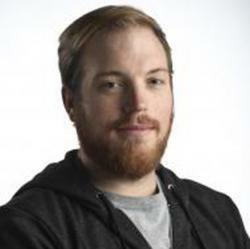 Today, any kid with an interest in rhyming and a decent internet connection is a few clicks away from a cache of emcees to imitate. Not so for Gracias, who was born in the Democratic Republic of the Congo. In 1992, he escaped the Congolese Civil War with his family, landing in Finland where so-called rappers were making hokey, tongue-in-cheek tracks akin to early Beastie Boys. When Notorious B.I.G., Wu-Tang Clan and other O.G. originators finally heated up the frosty Nordic nation, a new generation of rappers led by Gracias awoke to the power of golden age hip hop. Spark a strain for setting the table or loosening the belt — as long as it’s goes well with thumping bass, 90s nostalgia and the grateful rhymes that this 2011 offering lays on thick. Robbie Robertson will always be known as the leader of The Band, which started as Bob Dylan’s backing group and later etched itself into the popular music canon with complex Americana albums like “Music from the Big Pink.” Less known is Robertson’s Native American ancestry, as his mother was Cayuga and Mohawk. In 1994, he set out to honor his heritage with a collection of various songs he recorded for “The Native Americans” documentary. Mixing modern production elements with traditional music from Pura Fé, Douglas Spotted Eagle and members of Kashtin, the record finds its own new age soul while reminding listeners to remember the past. Considering that Thanksgiving was more likely a commemoration of the slaughter of indigenous peoples versus a happy feast, this is a necessary pick for Nov. 23, with or without the ceremonial pipe. If there’s one Thanksgiving tradition more cherished than smoking mad bud, it’s football. If your drunk uncle is among the true American patriots now turning their backs on the NFL because some players are expressing their First Amendment rights during the national anthem, put some fictionalized high school pigskin on the tube. The 2004 film “Friday Night Lights” (not the tawdry NBC series it inspired) isn’t just an inspiring story about a rag-tag West Texas squad’s ultimately futile efforts to win a state title — the football action is also brilliantly underscored by an excellent soundtrack. The soaring post-rock anthems of Austin-based Explosions in the Sky lift up the on-field drama with emotional guitar, bass and drum instrumentals.